Over the festive season, we see some of the most tragic road accidents, resulting in injuries and fatalities due to a lot more drinking and driving. 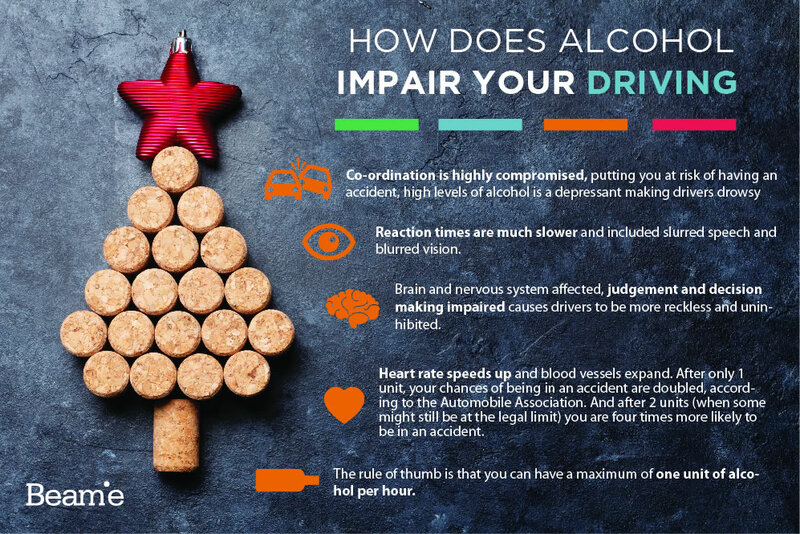 Office parties, family get-togethers and festive season celebrations may leave you feeling like there is little harm in having a few drinks at a social event and then getting into your car to drive home. But this behaviour puts the safety of other drivers and pedestrians at risk, not to mention your own. The law against drinking and driving is very clear – simply don’t do it. Research has shown that alcohol slows down brain functions, reducing your ability to judge your driving speed and your distance from other vehicles and pedestrians, resulting in the inability to focus on the road and your surroundings. It is equal to two thirds of a beer or spirit cooler with 5% alcohol content. For those who drink wine, 75ml of red or white wine per hour with an alcohol content of 12% to 14% is acceptable. Whisky and brandy connoisseurs can drink up to one 25ml tot of alcohol per hour. So how does alcohol impair your driving? Co-ordination is highly compromised, putting you at risk of having an accident, high levels of alcohol is a depressant making drivers drowsy. Reaction times are much slower and included slurred speech and blurred vision. Brain and nervous system affected, judgement and decision making impaired causes drivers to be more reckless and uninhibited. Heart rate speeds up and blood vessels expand. After only 1 unit, your chances of being in an accident are doubled, according to the Automobile Association. 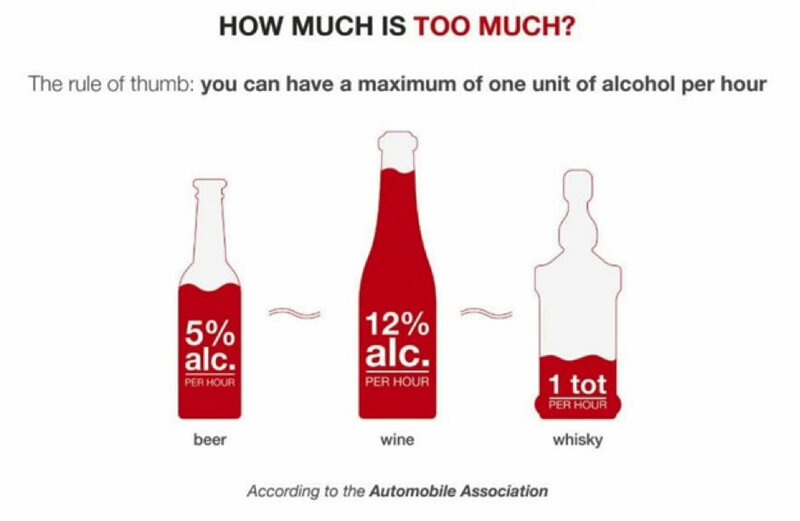 And after 2 units (when some might still be at the legal limit) you are four times more likely to be in an accident.